Ultrasound is beyond human hearing capacity. Most humans hear frequencies from 2- Hz to 20 kHz. Ultrasonic sound is beyond thisrange at 20 kHzto 100 kHz. 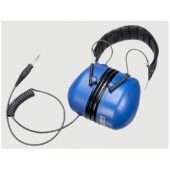 The FLEX.US unit convertsthe ultrasonic sound to an audible range to humans. Compressed airleaks generate thisrangeof ultrasound "noise" thatthe unit picks up. The FLEX.US ultrasonic leak detector kit comes with the FLEX.US unit, carrying case, and manual and utilizestwo AA alkaline batteries(included). The FLEX.US is a complete kit ? the high quality flexible sensor is mounted on the end of a flexible steel pipe so the ultrasonic sound can access hard to reach areas. The unit converts the ultrasonic noise of a leak into a sound humans can hear (hissing sound) and not just some beeping sound or LED display that may not distinguish a leak sound fromother phenomenon. The FLEX.US is a solid tool ? built to last, it is easy to use and will providemany years of service.